O God, you wish all men and women to be saved and to come to know the truth. Grant me through the intercession of your servant Guadalupe that, like her, I may learn to carry out my ordinary work with love, and spread faith and joy to everyone around me, bringing them to know and love you. 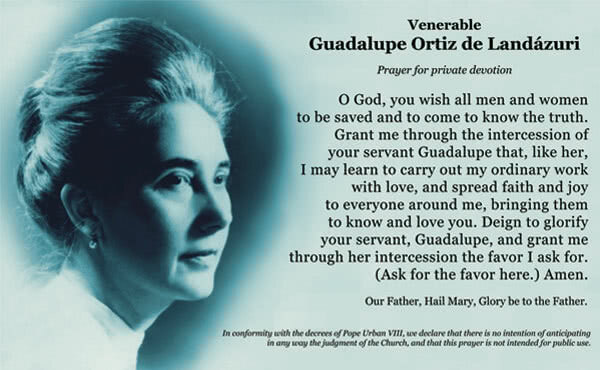 Deign to glorify your servant, Guadalupe, and grant me through her intercession the favor I ask for. (Ask for the favor here.) Amen.